One neighborhood at a time, the streetlight fixtures of the city of Birmingham are being replaced. Through a partnership with Alabama Power, there have been nearly 6.700 fixtures upgraded in the communities of Birmingham. It was last April when the partnership was announced and as it was concluded by “Brighter Birmingham”, there will be about 30,000 light fixtures to be upgraded in the Magic City. 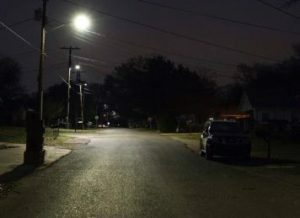 An article by alabamanewscenter.com states that “Some 99 neighborhoods will reap the benefits of these improvements, which include better lighting quality, greater energy efficiency and reduced maintenance. This is no doubt, one great improvement not only for the city’s appearance especially at night, but also in terms of the city’s crime-fighting crusade. Having bright lights in high-crime areas can greatly reduce the occurrence of crime, if not totally stop it. It is common knowledge that most criminals are more confident to commit crimes in the dark. When it comes to upgrades and reforms, one of the most talked-about is the issue about the cash-bail system. In fact, some cities are now implementing a new and improved bail system. The reform will apply to both the municipal and traffic courts. This ordinance, which was introduced by Council member Susan Guidry in September, was established in order to tackle various arguments and concerns among legal and civil rights groups saying that the bail system for minor offenses existing is very unfair and punishes the poor defendants only. Now, Municipal court judges are free to set bail ranging from $150 for minor offenses and for serious ones about $2,500. Of the 35 different offenses handled at the court, few prisoners can be automatically released without bail. This resulted to a 2-2 deadlock which led Guidry to promise a plan revision next time. To be more specific, the article states that “Those arrested on counts of animal cruelty, assault, criminal trespassing, disturbing the peace and criminal property damage can be immediately freed but must appear in court within 24 hours. Furthermore, the article states that “Special conditions also apply to defendants who are deemed to pose a flight risk or imminent danger to someone else. 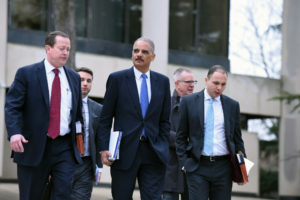 In those cases, a judge must impose “the least restrictive, non-financial” release conditions, such as a peace bond or stay-away order, the law states. A judge can’t attach a fine to that order if a defendant does not have the money to pay it. Whether the upgrades and reforms made are pertaining to a city’s crime fighting campaign or on the improvement of its justice system, it should definitely benefit taxpayers because they deserve to live in a safe community that fairly serves justice for all. A bail reform hearing lasted for six hours because dozens of people shared their testimonies and arguments about the current bail system in America. This made the Court of Appeals decide to postpone the voting for revisions until February instead. The revisions suggested that judges and court commissioners should consider the requirement of bail as a last option and that the financial means of the defendant should also be considered. There was already a previous motion for the changes to be adopted but it failed when it only got three votes out of seven judges. Additionally, the article states that, “Critics of the bail system say too many people are detained without being found guilty because they’re given a bail that they can’t pay. The purpose of bail is not to hold someone, but to ensure appearance in court. Judges can order someone held without bond if they believe they are dangerous or a flight risk. It is a good thing that the court is willing to discuss bail reform propositions with bail system opponents for the purpose of improving justice system in the city fairly. As a matter of fact, in the name of crime and justice, it is not only the bail system that is being looked at for changes and improvement, but also the judicial system when dealing with crime charges and sentences. There are also bills created for the purpose of ending Alabama’s current court practice where judges are allowed to impose death sentences. This is even if it is against the recommendations of the jury. 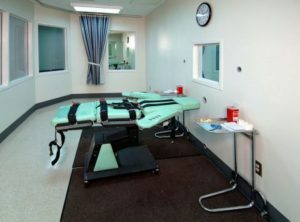 A Republican senator and a House of Representatives’ democratic member both submitted bills seeking to take off the ability of the judge to impose death penalty even if jury recommendations is only life imprisonment. This is with regards to capital cases. In fact, Alabama is the last state allowing this judicial practice as the Delaware Supreme Court already forbid this judicial override system for capital cases last August. Whether it is bail reform or judicial override issues, both the court and the state legislatures should carefully think and evaluate the current systems they have as well as the suggested revisions for them, in order to come up with a fair decision that will serve justice for all. Are New Bail Reform Laws Good or Bad For Society? Atlantic City Boardwalk Bail Bonds, owned by Rosie Imperiale has been in the bail bond business for 17 years already. Now, there will be major changes to the business as well as to the criminal justice system with the bail reform law expected to come into effect on January 1. Most of the cases will see alleged offenders kept in jail awaiting their trials or be freed on a court summons. 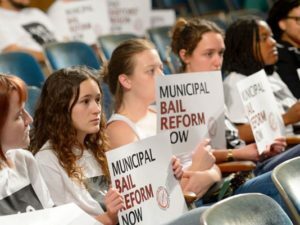 According to an article by the pressofatlanticcity.com, “Under the new system, Superior Courts can set bail for someone who fails to appear in court for a complaint summons. Those arrested on a summons will be taken to a police station, booked, issued charges and released pending their court dates. Read the entire story here — pressofatlanticcity.com. It is important to understand that when it comes to fighting crime and violence and improving the justice system, sacrifices must be made. Bail bond businesses may be threatened by new bail reforms this year. But, if these reforms can help the community fight crime and violence by letting offenders realize they cannot just get away with what they did by setting bail, then these reforms can actually be helpful in reducing the number of criminal offenders. This is considering the fact that most cities nowadays, like Birmingham, had a truly alarming crime rate during the year 2016. For the first time in 10 years, Birmingham got a triple-digit homicide tally, which made the year 2016 such a bloodshed for the city. There were a total of 104 homicides noted and authorities marked 92 of them as criminal. From 144, the whole of Jefferson County saw an increase in homicides to 151. It is easy to understand the concerns of bail bondsmen regarding the effects of new bail reforms to their business. However, if the city officials believe these reforms can also make positive changes to the justice system and contribute to a lesser crime rate for 2017, then it may be worth a try.